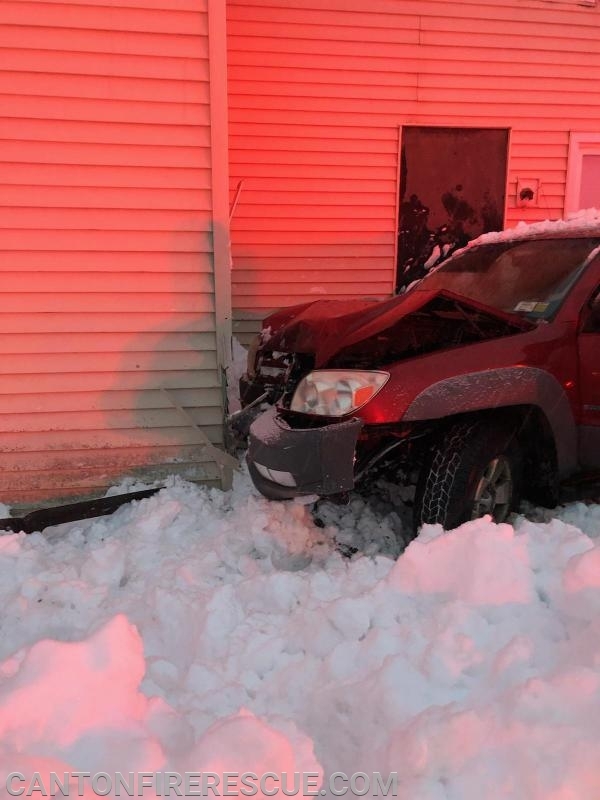 Canton Fire and Rescue personnel were in service for less than 10 minutes when they were dispatched at 1635 to a reported car vs. house MVA at 650 Judson street road. 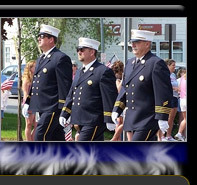 Ambulance 131, Rescue 1, and Engine 7 were enroute immediately. 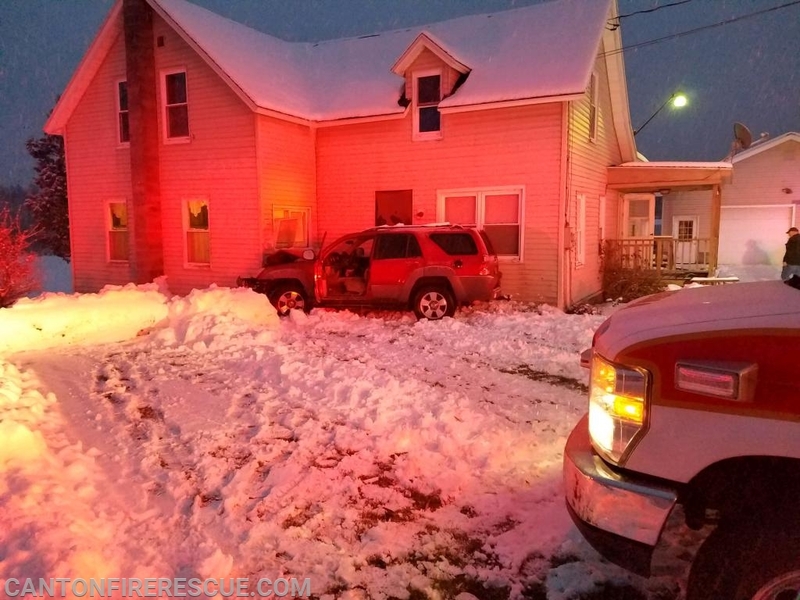 Arriving on scene at 1644, units found a single vehicle that left the roadway and slid sidways into a residence. There were two occupants of the vehicle,one of whom was treated by EMS personnel and transported to Canton Potsdam Hospital and the second declined medical treatment. There was minor damage to the home. Fire and Rescue personnel were assisted at the scene by Deputies form the SLC Sheriff's Department. All units were back in service at 1726.